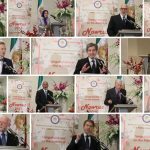 Former US lawmakers, and US officials speak at NCRI’s Nowruz ceremony in Washington D.C. 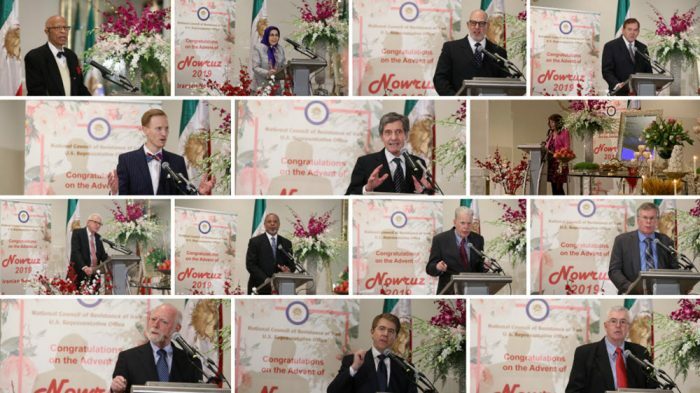 The US representative office of the National Council of Resistance of Iran (NCRI), celebrated Iranian New Year (Nowruz) by hosting a dinner reception. The event, held in Washington D.C. on March 22, featured several prominent former US officials who spoke at length on the threat the Iranian regime poses to international peace, stability and human rights. All of those that took the floor took the opportunity to call for a firm stance from the US government towards the Iranian threat. But among the calls for firm action were hopeful messages. Dr. Sofey Saidi of the NCRI Foreign Affairs Committee opened the evening with a speech full of optimism. She outlined how 2019 is set to be a strong year for the pro-democratic opposition in Iran. The NCRI and its main member, the People’s Mujahedin Organisation of Iran (MEK) are making huge strides within Iran. Its resistance units in Iranian towns and cities have mobilized the disenfranchised Iranian population. Iran’s citizens are protesting the mullahs’ tyranny in streets across Iran on an almost daily basis. The fall of the mullahs is “inevitable,” Saidi said. When Tom Ridge, the former Secretary of Homeland Security, took the floor, he condemned the regimes unlawful arrests of more than 10,000 people across 160 Iranian towns and cities. “The people in their own way are saying that the situation is unacceptable and they want change,” he said. Former Undersecretary of State for Arms Control and International Security Robert Joseph echoed these sentiments. He was hopeful that the Iranian people would “throw off this yoke of oppression.” “The days get longer than the nights, and the light replaces the darkness,” he said, adding that the symbolism of Nowruz was not lost on the Iranian people. “Forty years of oppression is forty years too long for the Iranian people,” he concluded. The speakers also all echoed the same conviction that Iran’s rejection of the religious fascism instilled by the clerical regime must be replaced with the democratic values outlined in the MEK and Maryam Rajavi’s ten-point plan.